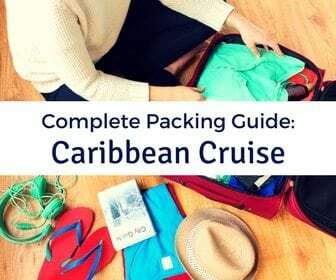 When preparing for your cruise, you should consider planning a pre-cruise stay before the vacation. 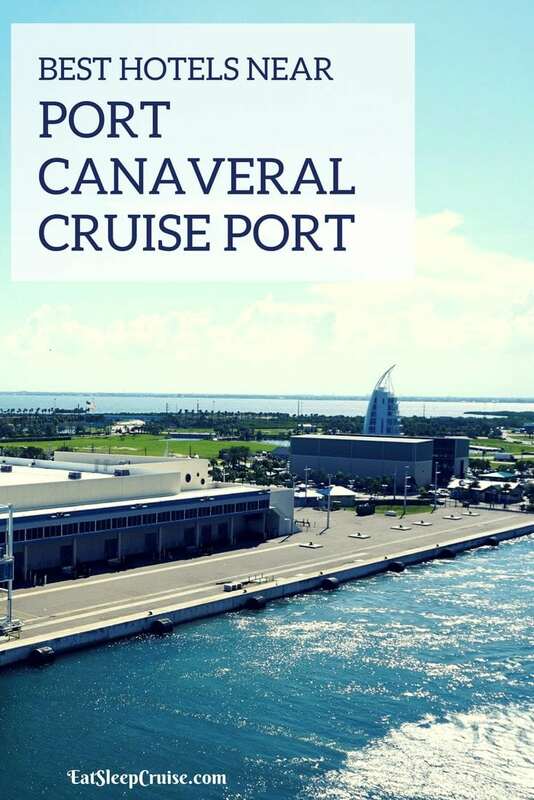 This is especially important when taking a cruise from Port Canaveral, as this cruise terminal is located a considerable distance from the airport. Arriving the day before your cruise ensures you will not miss the ship due to travel delays. 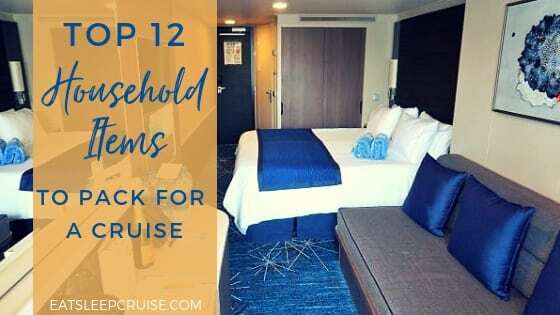 If you are looking for the perfect hotel in Port Canaveral for your pre-cruise stay, we have put together our list of the Best Hotels Near Port Canaveral Cruise Port. Let us know your favorite hotel in the area in the Comments section below. 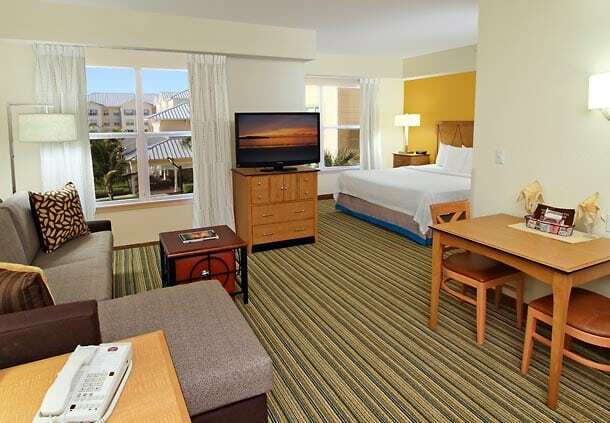 Residence Inn by Marriott Cape Canaveral is a convenient and well-appointed hotel resting just a mile from the port. This hotel is perfectly situated for those who are either flying into the area or traveling to the port via car. The all-suite hotel provides larger accommodations than you will find at other comparable moderate resorts. All rooms feature a complete kitchen along with a separate sleeping area and a relaxing/work station. 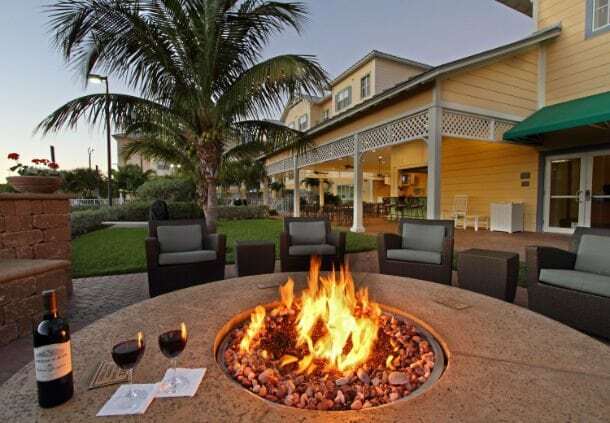 Hotel amenities include a sizable swimming pool, a fitness center along with an outdoor basketball court, and even an outdoor patio bar with fire pit. For our test night stay (a Friday night booked approximately 3 months in advance), the 500 sq ft. King Bed Studio (which sleeps up to 4 people) was priced at $239. 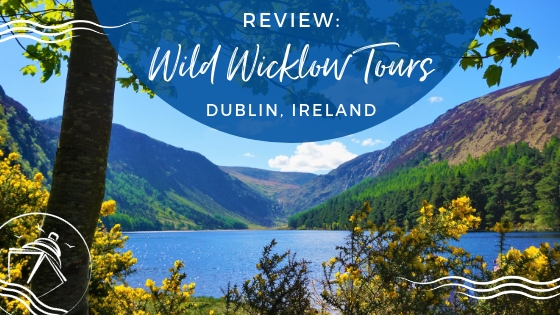 This is a great value considering the upgraded features and easy accessibility to surrounding attractions and the port. 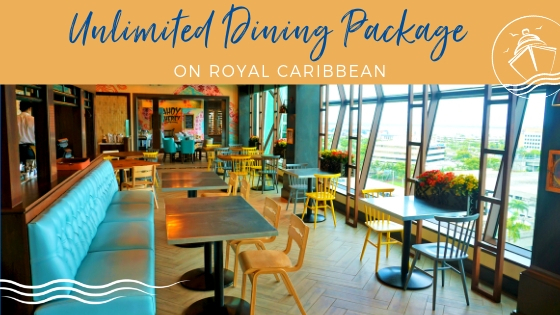 The hotel’s Park and Cruise Package includes discounted parking for the duration of the cruise and round-trip transportation to the cruise port from the hotel. 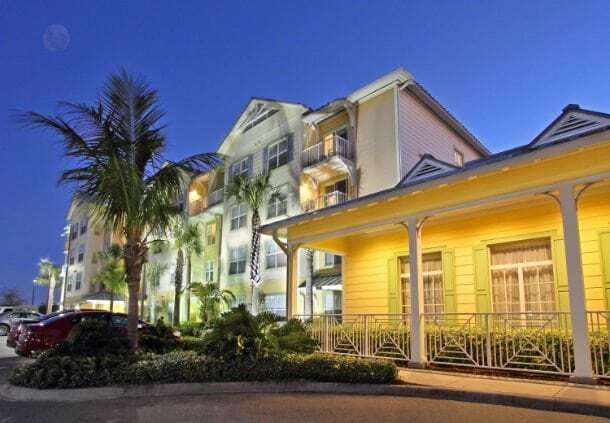 Wireless internet as well as a daily breakfast buffet is also part of the package deal. 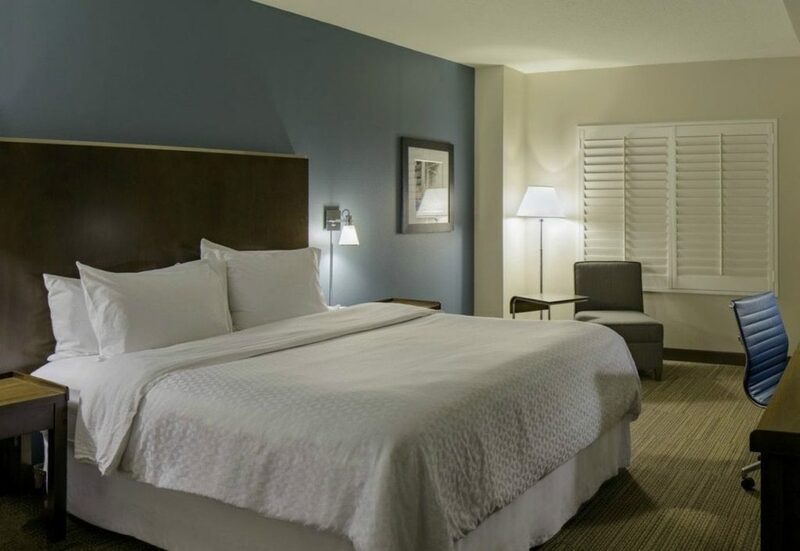 The hotel does not provide transportation from Orlando International Airport, requiring you to get an Uber or some other form of transportation to make the approximately 45 mile drive to the hotel. 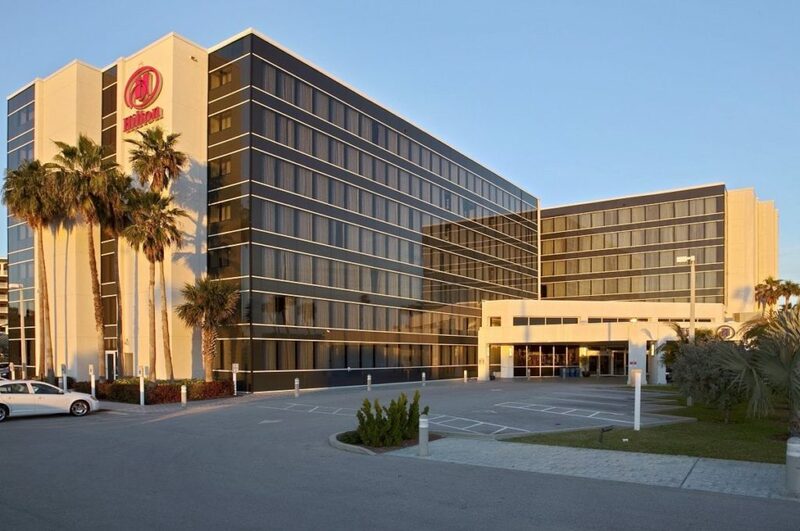 Another popular hotel choice located very close to the cruise port is the Radisson Resort at the Port. 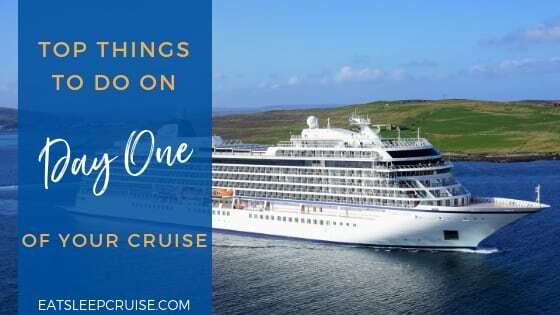 Located just a stone’s throw away from the cruise terminal, it is virtually guaranteed that you will not miss your all-aboard time for the cruise. The tropical décor and surrounding hotel grounds make you feel like you have already arrived at a Caribbean port of call. It doesn’t hurt that there is a Tiki Bar adjacent to the resort-style swimming pool so you can relax with a few “umbrella” drinks in hand. There is also a full service restaurant serving breakfast, lunch, and dinner. The Radisson also offers Park and Cruise Packages. 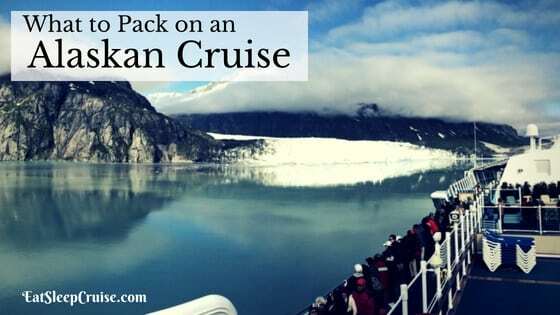 These packages include free parking for the duration of your cruise, as well as transportation from the hotel to the cruise port for two adults. 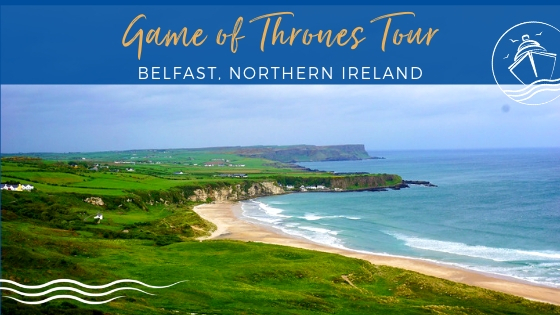 There is also the option to book the package to include breakfast for two adults. Transportation to the hotel is not included in the cost of the room. Shuttles can be booked through the hotel at the rate of $50 a couple. 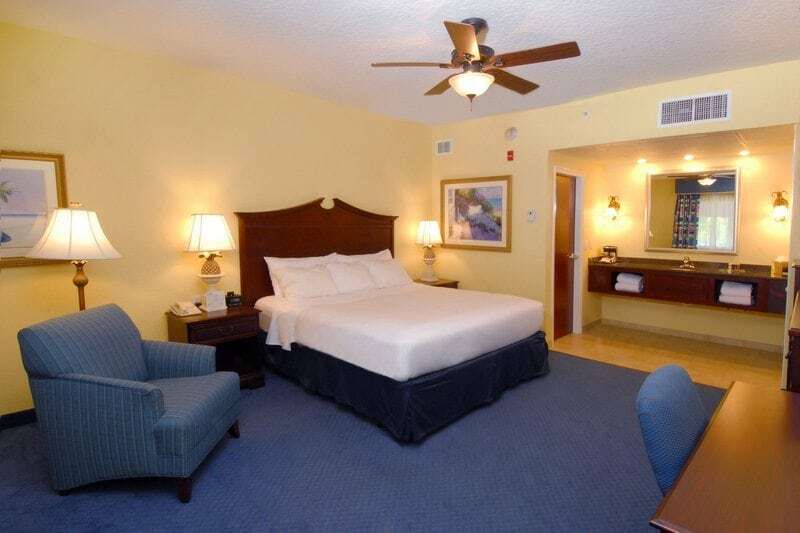 For our test weekend, the Park and Cruise rate for a King Bed for two adults was $211. Offering a pretty standard hotel layout, the King Bedroom is stocked with the usual amenities, including free high-speed internet. 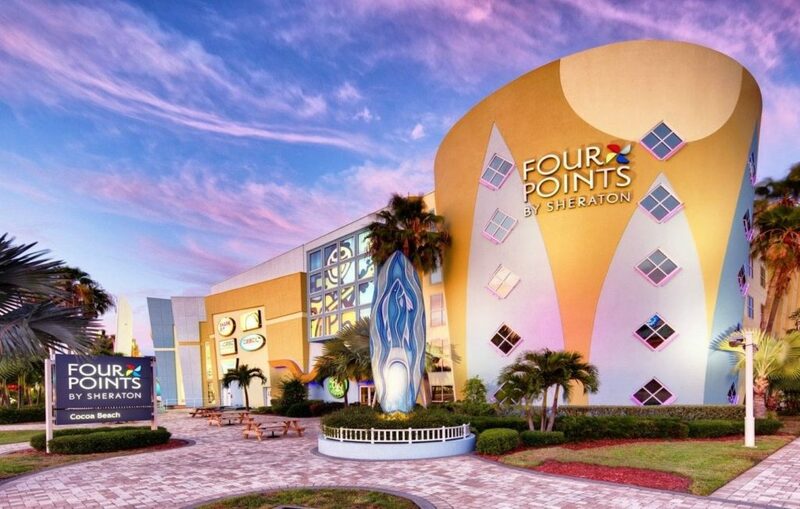 Feel free to hang ten before or after your cruise by staying at the Four Points by Sheraton Cocoa Beach. 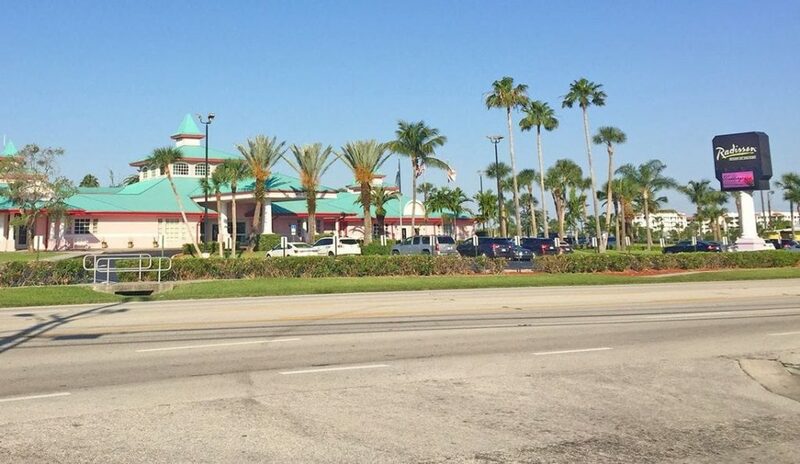 This hotel is located a block from one of the state’s widest beaches and less than 15 minutes away from the cruise port. There is even a surf shop right on the property to help you have a day filled of sand and sun. The hotel’s location puts you in the middle of plenty of restaurants and other entertainment options too. The laid back atmosphere extends throughout the property. 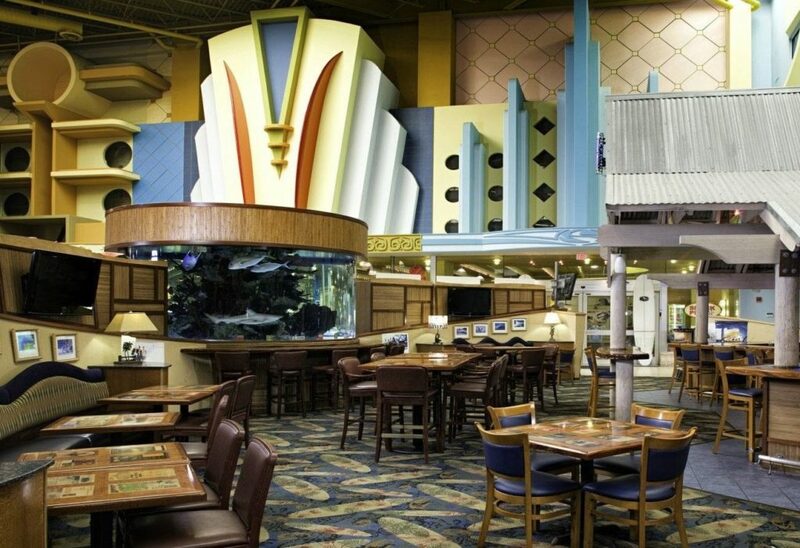 The Shark Pit, the hotel’s restaurant, includes a waterfall and a 5,600 gallon aquarium complete with sharks, eels, and plenty of unforgettable moments. Not to mention, the hotel is home to a Starbucks which is sure to make any Princess in your travel party happy. The bright and funky décor of the hotel will definitely get you excited for your upcoming cruise. Regardless of your choice of room, all rooms include high speed internet and other basic amenities such as a microwave and a mini-fridge. For our test weekend, the Park and Cruise package for a King room was $195. 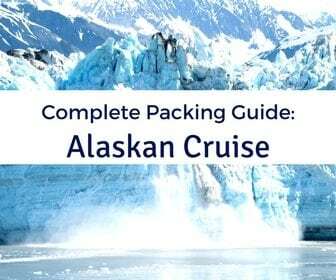 This includes up to 7 nights of parking and round-trip transportation to and from the port for up to 4 people. However, you will be responsible for your own breakfast as well as transportation to and from the Orlando airport as they are not included in this offer. 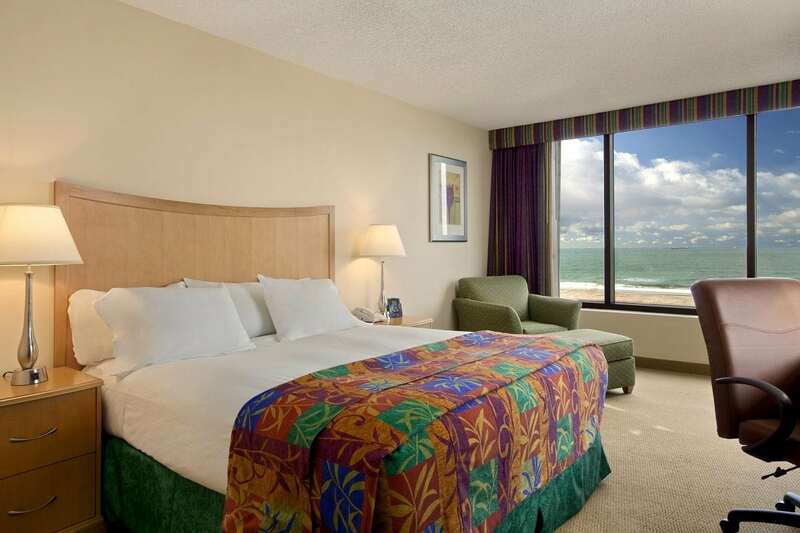 Hilton Cocoa Beach Oceanfront is just steps away from the beach and the rest of the attractions near Port Canaveral. Located only fifteen minutes away from the port, you might be willing to drive the extra miles for this resort. The modern, yet subdued décor might be a welcome relief after a day of traveling. If you have some time to enjoy the Florida lifestyle, beach rentals, bikes, and even surfing lessons are available for those ready to tackle the waves. 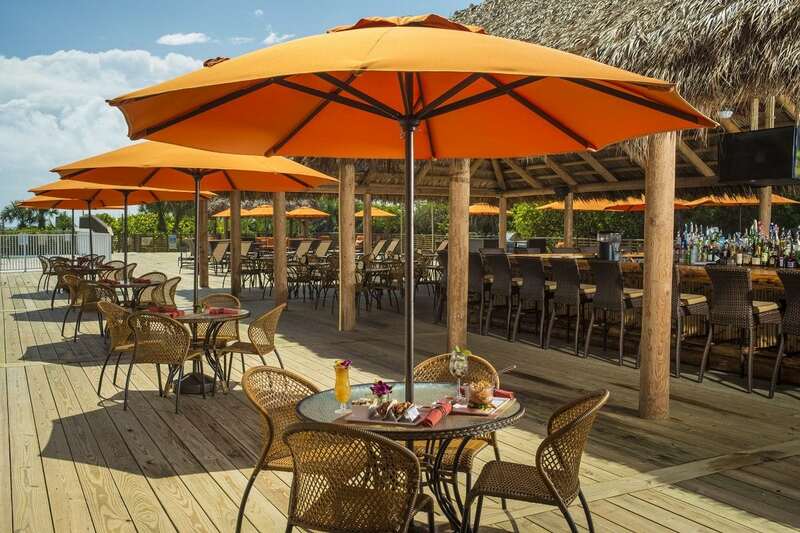 For those who’d prefer to relax in the sun, the hotel’s Longboards Tiki Beach Grille serves up frozen drinks, food, and even live music on select nights. While you indulge, the kids can make use of the resort’s heated pool. 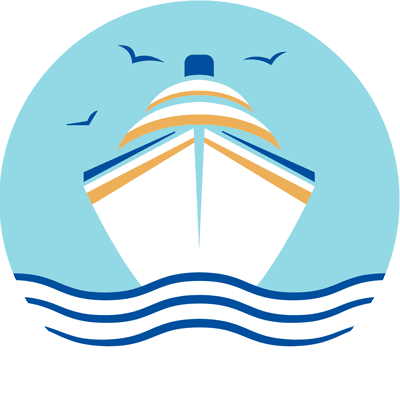 For our test night, the Hilton’s Park, Stay, & Go Package, which includes parking for the duration of the cruise and round-trip shuttle from the hotel to the port, costs $199 for a city view king room. All 295 rooms feature the hotel chain’s Serenity bedding collection to ensure a restful night’s sleep. WiFi access in your room and throughout the hotel is complimentary for all guests as well. 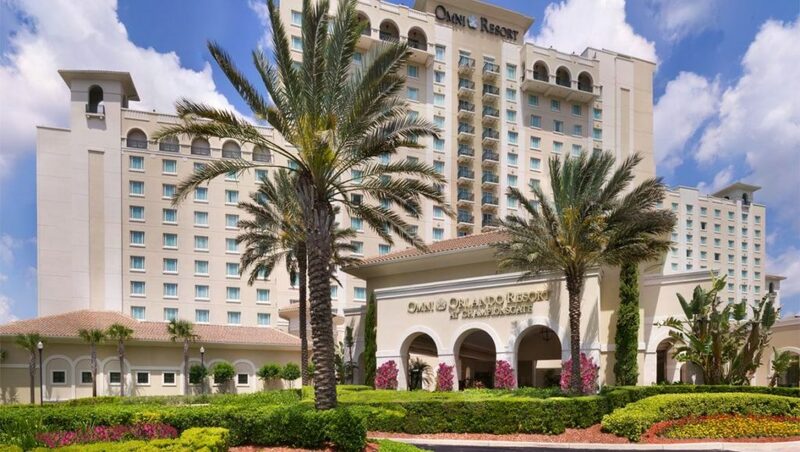 Like many hotels in the area, you will need to find your own transportation to the hotel from the Orlando International Airport. Although, once you arrive, everything will be within arms’ reach. 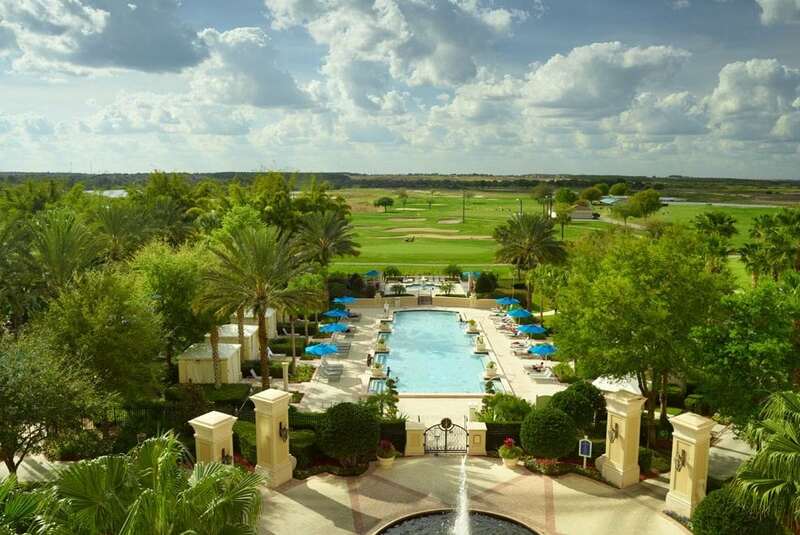 If you want to be pampered during your vacation, you might want to consider staying at the Omni Orlando Resort at Championsgate. 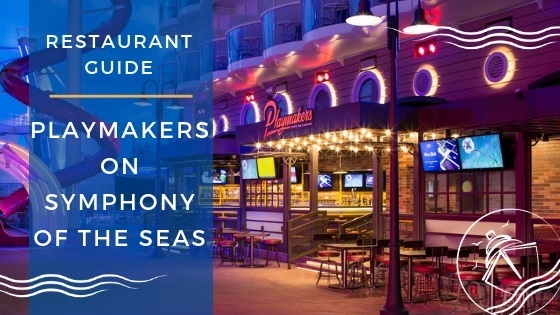 While you will need to find your own transportation to the hotel and to the cruise port, the room amenities and resort activities make up for the extra drive time and costs associated with this more upscale accommodation. 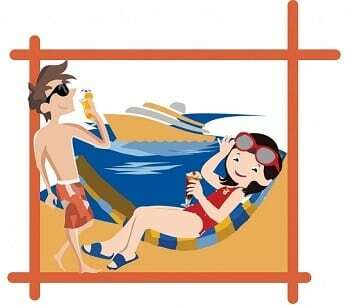 With several pools, including a new wave pool, the outdoor areas are sure to entertain cruisers of all generations. 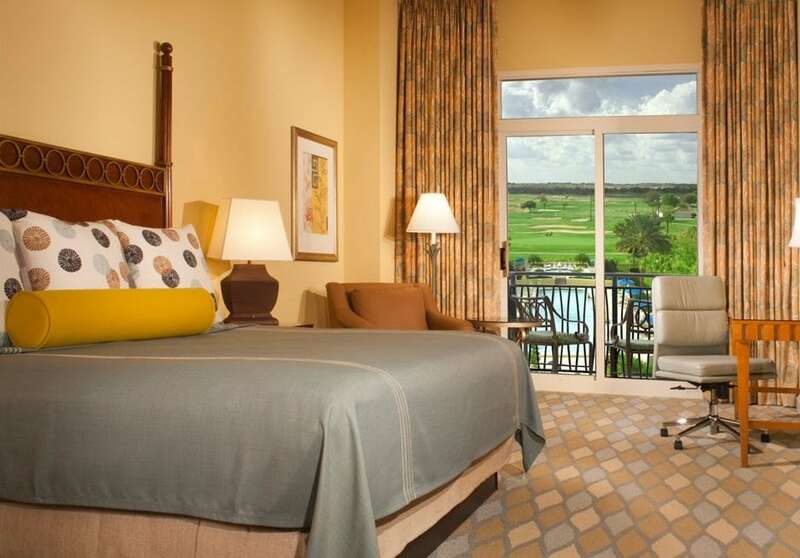 Or, you can hit the links with 36 holes of premium golf that surrounds the resort. If you want to get the whole family involved, you can head over to the miniature golf course. Dining venues including an upscale Asian-inspired restaurant, a traditional Italian eatery, and a steakhouse are the perfect way to get the evening started. Several bars and more casual dining options are also available making the hotel itself a destination. While there are several room types available, cruisers might opt for a Deluxe King Bedroom for $239 on our test night, which includes parking and the resort service charge. This 400 sq ft. room has a rich Floridian feel with warm colors and a marble bathroom stocked with premium bath accessories. Just don’t forgot you have a cruise ship to catch in the morning! Okay, sometimes you might just want to extend that vacation a little longer. 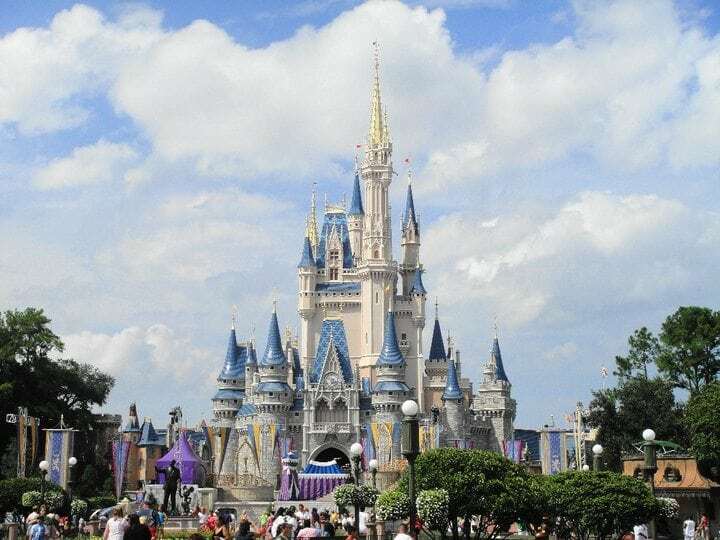 Since many cruises leaving from Port Canaveral are 3 and 4 day cruises, there is no better way to keep the vacation spirit alive than staying at one of the world class theme parks in the area. 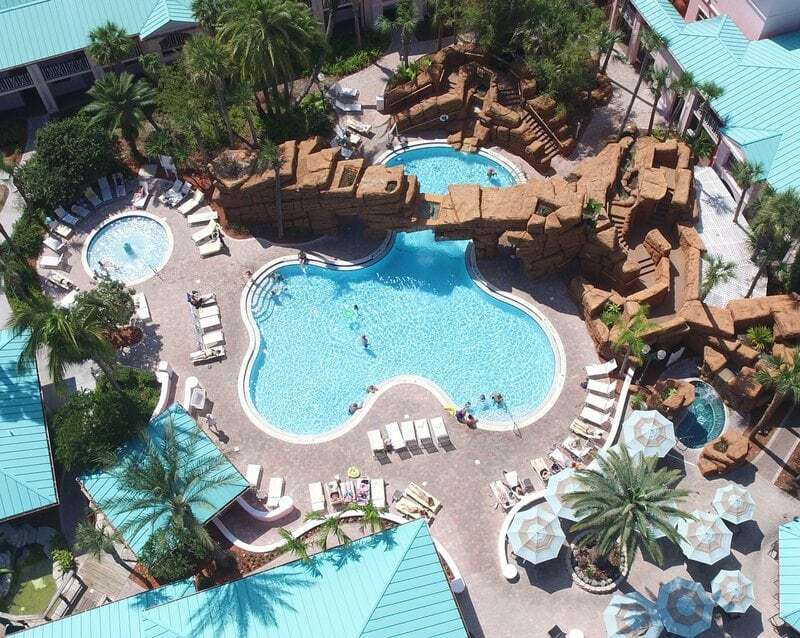 Disney fans can choose from over 20 different hotels, from value resorts to deluxe accommodations, at the Walt Disney World Resort. Bundling your room with tickets to the park makes this an easy way to keep costs in-check. With Disney’s Magical Express and on resort transportation, you don’t need to worry about getting from the airport to your hotel or to the various theme parks. Of course, you will be responsible for your own transportation to Port Canaveral. This will cost you approximately $65 with Uber. 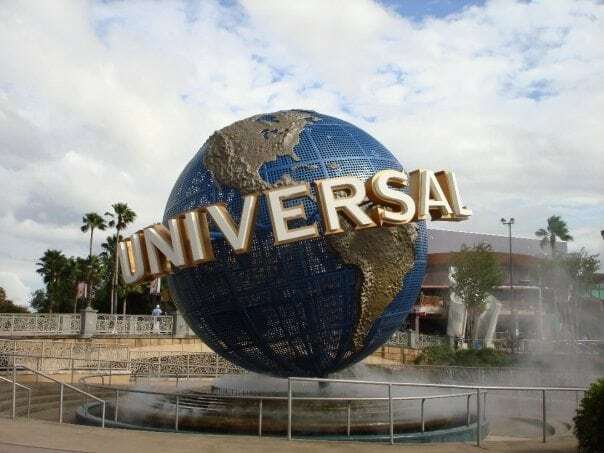 Those who are into more thrills should consider Universal Studios Orlando. It probably wouldn’t shock you that we are fans of this resort as well! Again, we suggest staying on site. While the theme park has added some moderate and value resorts, we are fans of the Deluxe Resorts. Along with better locations, these resorts offer guests Universal Unlimited Express, which lets you skip the line at most attractions and gives you extra hours in the parks. A huge perk, especially if you are only spending a day or two at the parks. 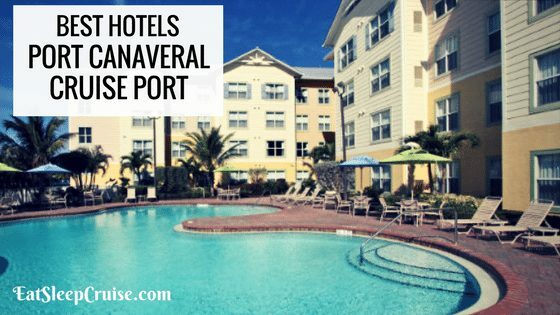 Have you stayed at any of these accommodations in our Best Hotels Near Port Canaveral Cruise Port? 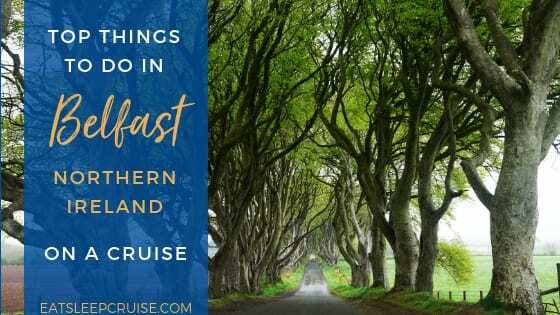 Do you have any hotels to add to this list? Drop us an anchor below with your suggestions for best lodging near this popular cruise departure point. Thanks Michele for the suggestion. Glad to hear the hotel met your expectations. Happy cruising.